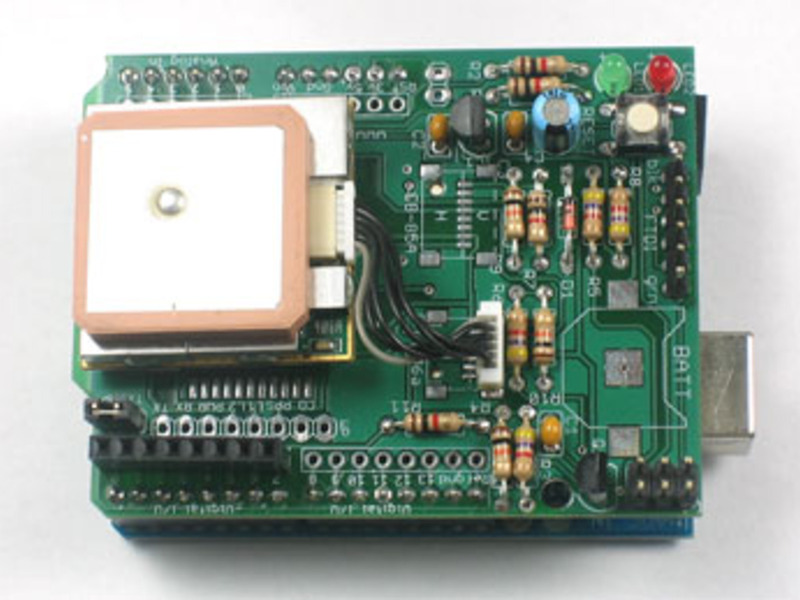 This shield is designed to make GPS projects straight-forward and easy. 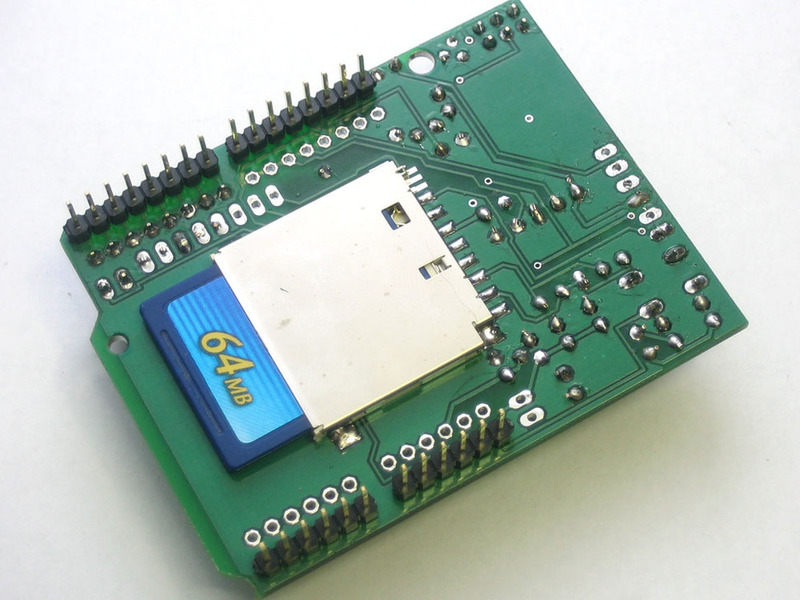 Plug in a supported GPS module and run any of the example Arduino sketches for parsing GPS data (NMEA sentences), logging to a FAT16-formatted SD flash memory card and storing analog sensor data along with precise location, date and time in CSV format. 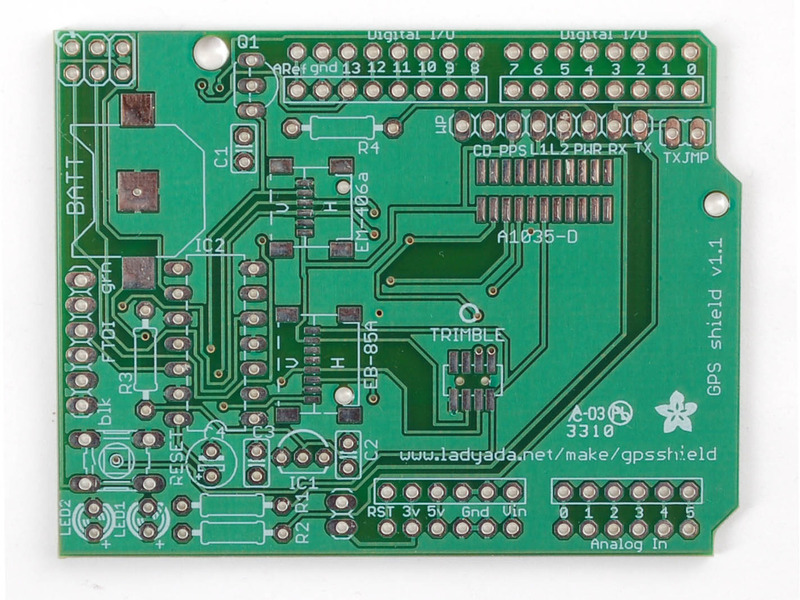 The shield is designed specifically for use with the EM-406a module: the small surface-mount GPS connector is pre-soldered for you. (It is a high-quality engine with quick time-to-fix and excellent reception, even in downtown New York City!) 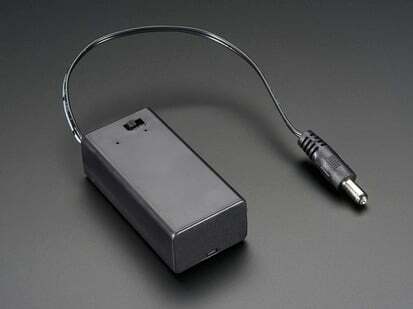 It can also be used with a Tyco A1035D, EB-85A or Lassen IQ module (see the webpage for more details). 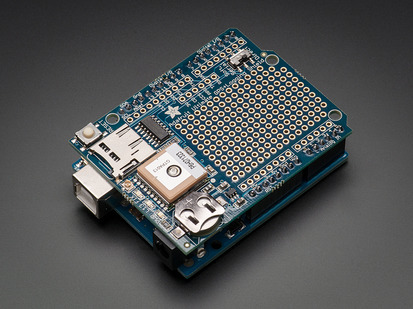 GPS module, Arduino, and SD memory card are not included. Please check the parts list to see what is included. Please note that the library is rather bulky, requiring 12K of flash and more than 1/2 K of RAM for buffering SD card memory blocks. 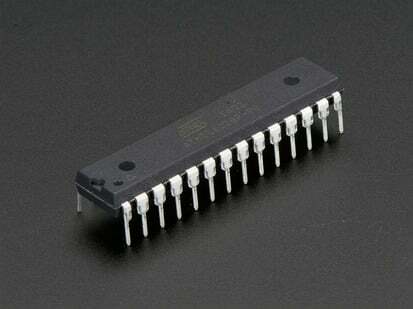 The examples work fine on ATmega168-based Arduino (or compatible) but for more complex projects I strongly recommend upgrading to an ATmega328! Run-time is approximately 3 hours with a 9V battery and up to 12 hours using a MintyBoost, assuming no power-saving features are enabled. 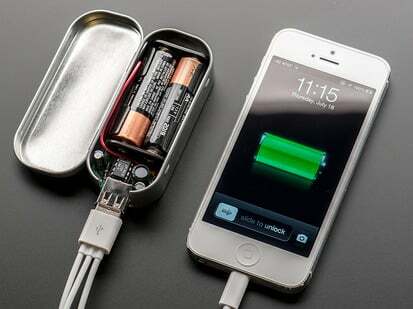 Project details with example code, schematics, power usage, etc. are all available on the webpage so check that out!